Zach Cunningham, rising star linebacker, was selected by the Houston Texans in the 2nd Round of the 2017 NFL Draft. 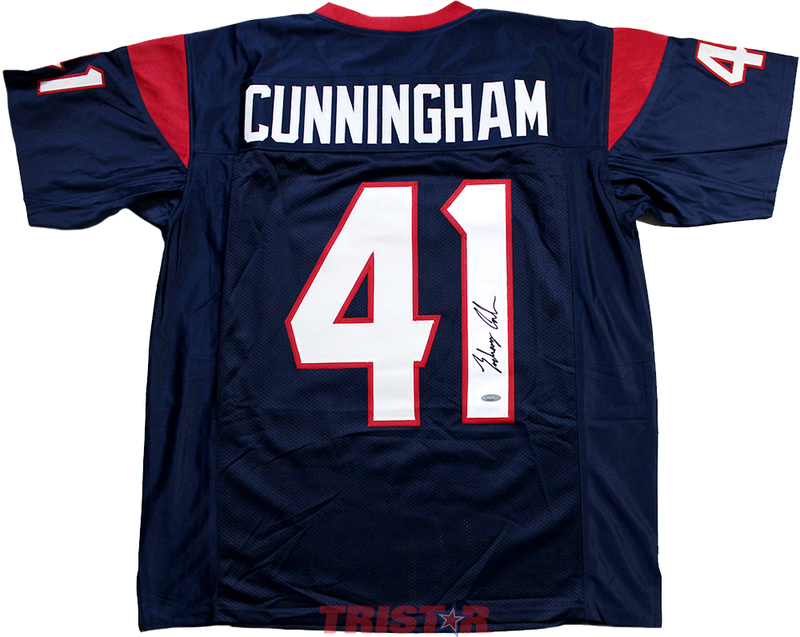 This custom pro-style jersey has been hand signed by Zach Cunningham. Each autograph is guaranteed authentic, and will include an individually numbered TRISTAR Authentic hologram.